4 Tips for Packing and Storing Holiday Ornaments - MoveStar Inc. The holidays are over and packing your decorations for the year? Packing your holiday decor for the move? Ornaments, artificial trees, and seasonal items require special care when storing and moving them to a new home. Without proper care, they could end up broken, shattered or smashed. Here are 4 easy tips for packing and moving your holiday decor this season. Having the right packing supplies is key to storage success. Whether you keep the original packaging, reuse boxes or wrapping paper or need to purchase new storage items it’ll help protect your fragile decorations and prevent frustration when you unpack them to get ready for next Christmas. 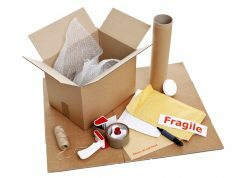 Movestar recommends using these packing supplies: Packing tape, Plastic bags, bubble wrap, cardboard boxes or plastic bins, and a marker. Do not waste valuable time packing and moving holiday ornaments that you no longer like, are broken and worn out, or scratched. 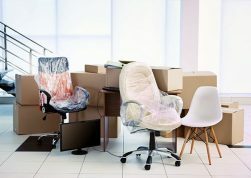 Your upcoming move is the perfect time to get rid of all these decorations. Throw away your broken pieces and give away the good decorations that you don’t want to use anymore. For the ornaments, you are going to keep for the next year try sorting by how they are displayed and what room they decorated. When you categorize your ornaments, you’ll know exactly where to look for specific items and you can eliminate digging through storage boxes. It’s tough to tell which lights are for decorating the tree or for decorating your lawn when they’re all packed into the same box. Avoid this inconvenience by separating each strand of lights into bags and labeling them. We suggest storing your exterior lights, interior lights, Christmas tree lights and any other lights in carefully wrapped circles or in cardboard tubes. Once you have organized and wrapped your ornaments, decorations, and lights, you’re ready to store. Place them carefully in bins or boxes and fill the empty spaces with used wrapping paper shredded paper or bubble wrap. Make sure everything is secure, so it won’t break if the box gets bumped around. Movestar Fireman movers are the experts in moving and storage we’ve nailed down the best way to pack holiday ornaments. Whether you’re packing for a move or packing up your decorations and memories of Christmases past we are here to help!